I like having an end of the year post that summarizes my reading for the year. Jaime, at The Perpetual Page-Turner, posted this great survey that really helps highlight some of the good ones, and bad one, of the year. It’s so hard to pick a favorite. This is my top-ten, in no particular order. Room by Emma Donaghue. It had gotten so much hype that I expected it to be truly amazing. Turned out that all the build-up had told me all the things that made the book special. I already knew the voice and the plot, so I ended up being underwhelmed. Yesterday’s Tomorrow by Catherine West. I actually hadn’t planned on reading this romance that takes place during/after the Vietnam War, but a friend let me borrow it. I have to say it really was an emotional read, had me crying and laughing. It was a great introduction into the Christian romance sub-genre. Even though it’s not one I read this year, I still find myself recommending The Help by Kathryn Stockett to anyone who hasn’t read it. Elly Griffiths’ mystery series starring Ruth Galloway. I’ve only read the first, The Crossing Places, but I just loved the setting and the main character. The plot was solid too. I didn’t read much outside of my comfort zone this year, to be honest, and I’m fine with that. I do think I have a fairly broad comfort zone, though. I don’t know. None are really jumping to mind. Probably India Black and the Widow of Windsor by Carol K. Carr, simply because I found India herself so compelling in the first book. The Honey Month by Amal El-Mohtar. This collection is simply beautiful, full of images and phrases I loved. I guess it would be Still Alice by Lisa Genova. It was a good reminder to spend time with your family now, to do the important things in life, because you don’t know what tomorrow will bring. Anything by Ngaio Marsh or Mary Roberts Rinehart. Ah, I should have planned ahead for this one. I don’t tend to write down the quotes I love. These were two quotes that were included in The Egypt Game by Zilpha Keatley Snyder. I don’t usually reread, especially with that little time before readings. The end of the Devotion of Suspect X by Keigo Higashino. Awesome ending, but discussing it would spoil the book. Death at La Fenice by Donna Leon,the first in her Brunetti series, which fits in perfectly with the Venice in February challenge. Bury Your Dead by Louise Penny. Yes, I know it was published in 2010, but I’ve been listening to the series in order and I’m finally up to that point. 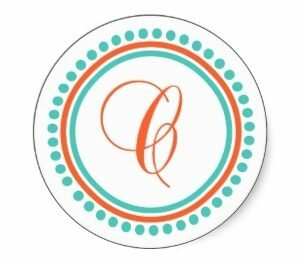 I’m trying something a little different on my blog this year, having monthly themes. We’ll see how that goes. As for reading, I don’t really have any goals, just to read a bunch of good books. 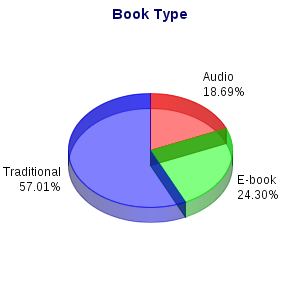 I read a total of 107 books, a little low for me. Here’s how they broke down. 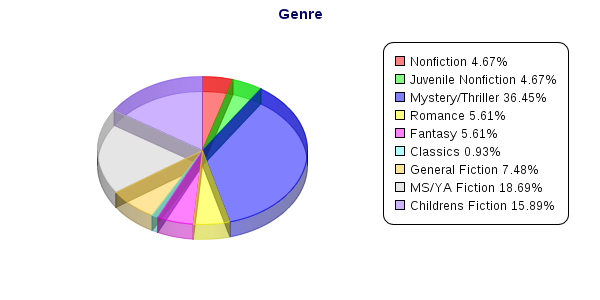 I had trouble deciding what genres to split apart. The above is not perfect, but it’s the best I came up with, at least for now. What was your favorite read in 2011? Anything you’re particularly looking forward to in 2012? I have read none of those, I got a lot to catch up on it seems. A great post, I loved the pie-charts. Funnily enough Room is one of the books that most disappointed me and for exactly the same reason. I love In The Woods. One of my favorite contemporary mystery novels. I really need to read The Devotion of Suspect X. I have it, just haven’t read it yet. I agree with not reading Mary Roberts Rinehart before now, she has quickly became one of my favorite authors. I do need to read Ngaio Marsh though. Hope the new year brings tons of great books. I haven’t read a single book on your list. I wish I had more time to read. I’d like to break my stats down like that – maybe that can be my new year’s resolution. I wish I could just quit my job and read all day. Work, errands, dishes, laundry should all just magically get done. I added Alphabeasts to my Wishlist for daughter. Still Alice is an all time favourite. I was on the fence with Room but completely understand how you had heard everything by the time you read it. To bad. 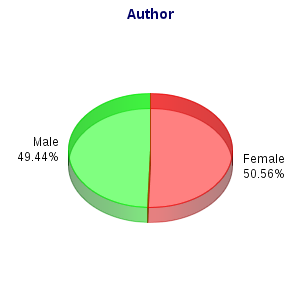 Interesting that you read equal male/female authors. I’m jealous of your pie charts! I kept a spreadsheet with all those categories but I was too lazy to do anything with the data. Very impressive, Carol!